Sarah Jessica Parker just introduced Fatima Farheen Mirza as the first author to be published by her imprint SJP for Hogarth. 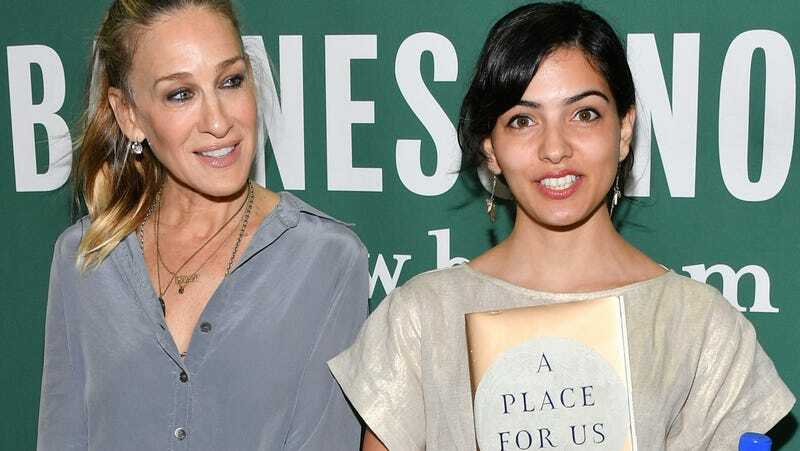 A Place For Us, Mirza’s debut novel, tells the story of an Indian-American Muslim family dealing with issues of faith, relationships, and betrayal. “I was aware of how little representation there was, and how few stories were handled thoughtfully about Muslim lives and South Asian lives,” Mirza said in an interview with NBC News, “and I didn’t want to contribute to that misunderstanding or the lack of an honest, authentic portrayal.” A Place For Us has been hailed for its complex and nuanced representation of Muslim characters. Parker said she was stunned by the maturity of this 27 year old author’s voice, calling Mirza “preternaturally gifted.” The novel, released on June 12th, has already garnered immense praise from critics and readers. Why Am I Crying at This Story About Sarah Jessica Parker Buying a French SATC Fan a Cosmopolitan?